#SatSpanks – What’s a brother to do when his level headed sister runs amok? Happy Saturday, fellow #SatSpanks fans! 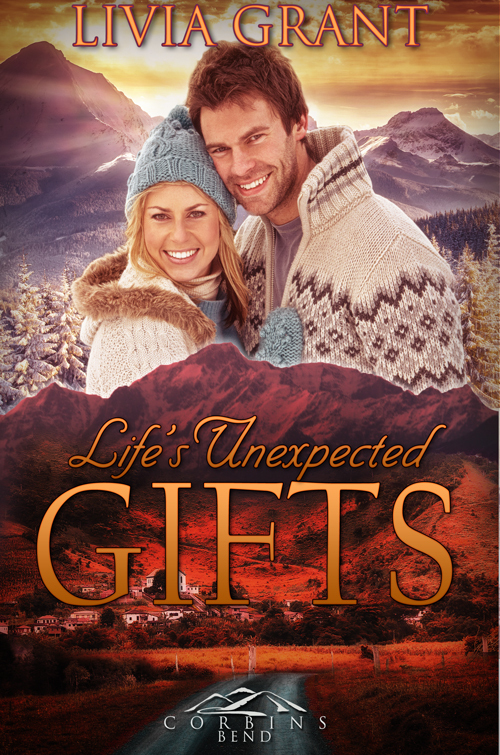 I’m sharing another excerpt from my recent Corbin’s Bend story, Life’s Unexpected Gifts. The following snippet is from early in the book when Troy tries to help his sister get back on track after some dangerous decisions. It sets up the scene for our main characters to meet. “Yes, Trace. The brush. Go freshen up, and be back here within fifteen minutes. Don’t keep me waiting.” Troy’s confidence in his decision is solidifying her fate. Did you hear that Traci is going to get her own story in season three? Psychology of Submission will be released in late spring. If you haven’t read Hallie and Troy’s story yet, I’d love it if you’d give it a read. Pick it up here. Thanks for stopping by. Be sure to check out the other amazingly talented authors below. This entry was posted in Corbin's Bend, My Books and tagged #SatSpanks by Livia Grant. Bookmark the permalink. I’m reading this now. Have to admit this scene with a brother spanking a sister made me squirm. I’ll be honest, Cara. It was risky to be sure. I had more beta readers read the first few chapters than normal just to make sure I had not even a tiny bit of incesty stuff in there. I know it was risky to include it, but the scene with Hallie bursting in to meet them the way she did was so very clear in my head I just couldn’t give up on it. As you know, I like to push the rules a bit. 🙂 Hope it didn’t ruin the story for you or anyone else. I do think a lot of readers connected with Traci because I’ve gotten a lot of comments and emails asking what happens with her. She’s getting her own story in season 3 and I promise, Troy’s days as her HoH are over. 🙂 Hope you like the rest of the story. I thought I was signed up to get your posts in my mailbox but I am going to try again because I apparently am not! OK, I had to read it twice with the brother/sister piece and haven’t read this book of yours yet but am planning on it. I think it can be tricky to do that but if it fits, it fits and that’s all. And I kind of like that you take chances. Brother and sister can be tricky, but I have no doubt you did a great job with it. And now I’ll go read for myself! Thanks for stopping by, PK. Let me know how you think it worked out if you do get a chance to read it. I’m always trying to learn along the way! Yes, brother/sister is tricky. It doesn’t bother me at all, but when I included one in a book, some of the reviewers were irate. That said, I think there’s also a segment of readers who love all kinds of spanking, including familial ones. I’ve read couple stories with brother/sister too and at first it startled me, but the authors had done a good job with them and so I knew it could be done. I’m pleased that so far none of the reviews have skewered me, at least not for that 🙂 lol Thanks for stopping by! In a book I wrote a while back, I had a scene where a brother was watching his sister being spanked by her Master. It was an historical novel sent in England, and brothers frequently spanked their sisters back then. Not only that, I had him hiding behind a screen and he could only see her face. Whoa, one reviewer called me depraved, and another left me a horrendously bad review. It was also thrown in the ADULT Amazon dungeon, but the cover may have been partly to blame for that. We all have to roll the dice now and then, and I have no regrets, but I’m not sure I’d go there again. Good luck with this, it was a tasty tidbit and I really hope it does well for you. Maggie, that book sounds hot! Sorry you had a reviewer upset though. We can try not to take those terrible reviews personally, but it’s hard. I tend to always take things to the edge, so I am not surprised if I run into some people’s squicks. Thanks for stopping by!